It’s a terrible picture, because my good camera is in it, but I think I have my conference packing down to a science. 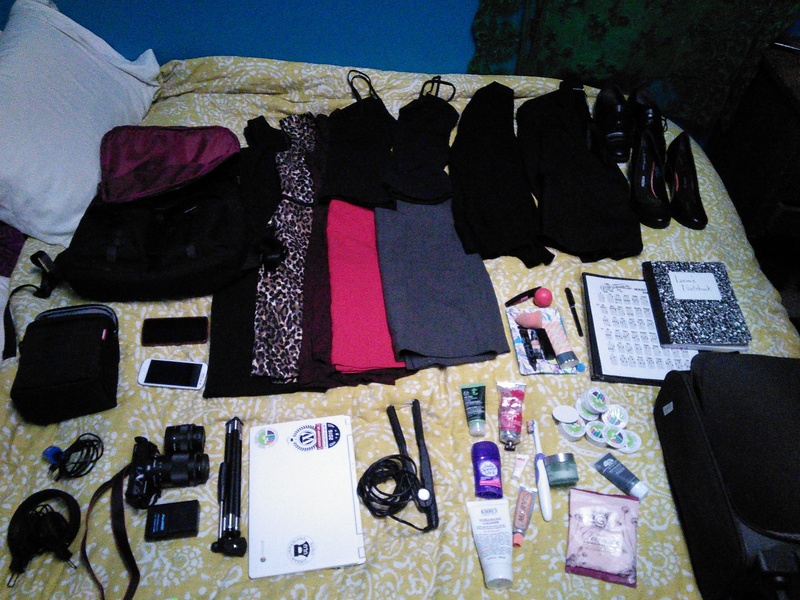 5 outfits for 5 days, plus the equipment I need to do some video projects for ULU. Not pictured? 2 ukuleles and a tiny bottle of rose champagne left over from New Years, why waste it, right? I managed to fit all of that in my tiny suitcase and my backpack. Should be ok to handle on the train from Penn tomorrow. 11:00 AM – Noon — Doing my duty for QL at the Placement Center. Cone see me! Save me from my boredom!